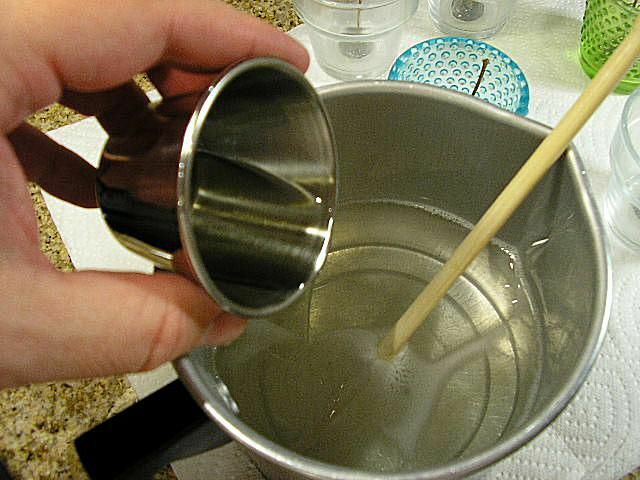 Definition: While in soap making, the term "cure" refers to the process of the water evaporating out of the bar, it means something quite different in candle making. In candle making "cure" refers to the chemical process that takes place as the wax and fragrance oil bind and incorporate into each other. Think of it like a spaghetti sauce, chili, or a salsa - the flavors (or scents in this case) perform better after they've had some time to meld together with the wax - to "set." Make sure to add your fragrance oil in at the right temperature. Follow your wax manufacturer's directions - or for a good starting point, I recommend 180 degrees. Be sure to stir! Amazing how many people just plain don't stir enough. Stir the fragrance oil into the wax for at least a full minute - two to be safe.